N. Karl Haden, Ph.D., is the founder and president of the Academy for Academic Leadership (AAL), a consulting and professional development firm focused on health professions education and the health care industry. Dr. Haden’s formal education is in religious studies, the humanities, and philosophy, studies to which he credits many of his perspectives on leadership. Dr. Haden has authored numerous articles and monographs in educational leadership and policy and is a frequent speaker at national and international conferences. He is a Fellow of the Center for the Study of the Great Ideas and a Fellow (Hon.) of the American College of Dentists. Dr. Haden lives with his family in Atlanta, Georgia. Everyone has the inborn capacity to lead—it is only a matter of unlocking that potential. This book enables you to do just that, building on your natural ability and nurturing your leadership habits through specific behaviors. Throughout the book, the authors examine these habits and behaviors in detail and align them with The Nine Virtues: Humility, Honesty, Courage, Perseverance, Hope, Charity, Balance, Wisdom, and Justice. 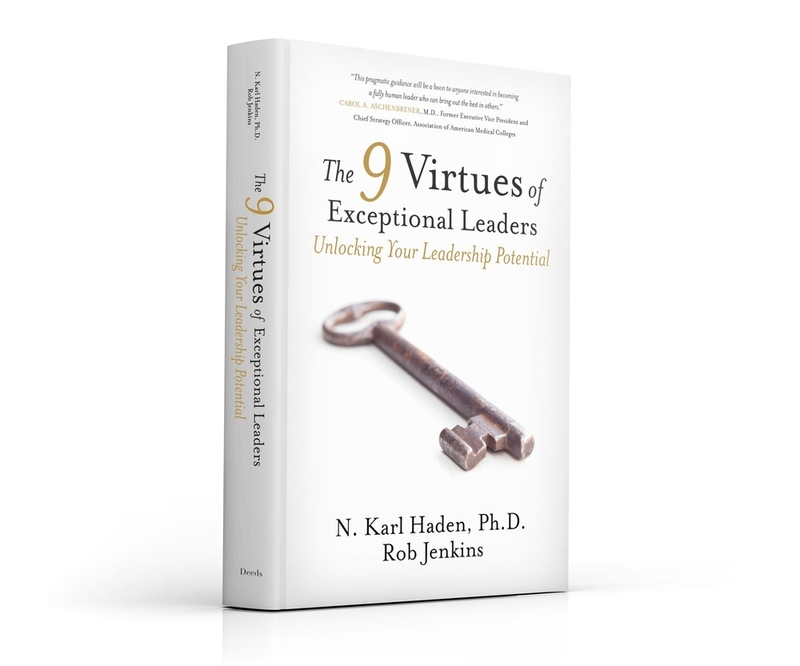 In addition, “homework exercises” at the end of each chapter—practical suggestions for developing the virtues—show you how to unlock your leadership potential. Because effective leaders are not simply people who know a lot about good leadership; they are people who practice it every day. With the guidance in this book, you too can become the leader you were meant to be.